Are you a natural sales person, friendly and calm under pressure? Then this opportunity is waiting for you! Register today for GetOn’s Call Centre Course. A call centre is a centralised office used for receiving or making a large volume of requests by telephone. An inbound call centre is operated by a company to administer incoming product support or information enquiries from consumers. 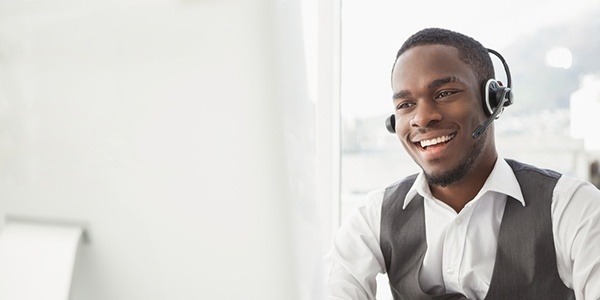 The rapid growth of the outsourced call centre industry in South Africa has contributed materially to the GDP of countries like South Africa, and provided hundreds of skilled and semi-skilled jobs. This programme is intended for people working in call centre environment and is intended in improving competence in handling in-bound calls and providing information in a call centre environment. • Explaining the use of organisational call desk systems. • Answering and categorising in-coming queries. • Retrieving calls from customers. • Inputting subject information from customers in accordance with specific. • Responding to queries from customers. • Providing follow up to customers’ requests. • Identifying customer needs in a Contact Centre. • Providing information to customers. • Planning to make calls to solve queries. • Placing calls to solve queries. Part of the course, it is required that the learner does 100 hours of work place experience learning, in order to complete the qualification. GetOn Call Centre Training will launch in April 2019, be the first students to start this exciting journey.